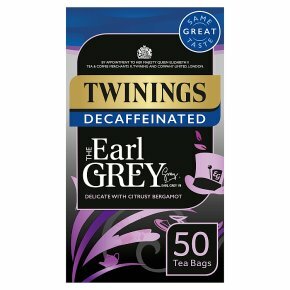 Decaffeinated tea with the flavour of bergamot and lemon. Foil sealed for freshness.Our decaffeinated blend In 1831 we created Earl Grey tea in our shop the Strand on the request of the Prime Minister. He loved it so much he gave his name to it. Before long it had taken London by storm and it is still a firm favourite amongst people who like things with a twist, who travel off the beaten track and don't always play by the rules. What does it taste like? A delicate tea with a delicious twist of citrusy bergamot that you can enjoy all day long. What makes this tea different? We carefully select a tea that a light, delicate and refreshing. It blends perfectly with the unique citrusy bergamot.